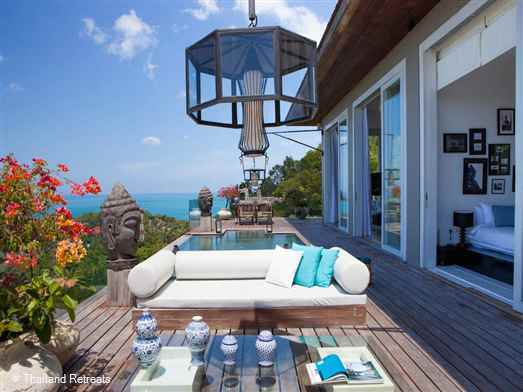 Villa Belle is a private and secluded stand-alone hillside villa with panoramic views. A stylish and unique villa well designed with oversized rooms and fabulous outdoor living. Offers rates of 2 bedroom and 3 bedroom occupancy. 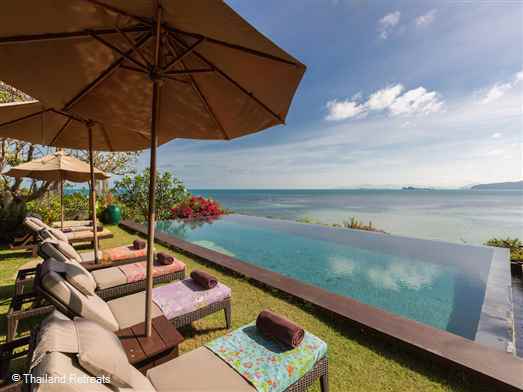 Villa Samudra is a vast headland estate with semi private sandy cove and use of kayaks. An amazing mix high tech cinema screens with a spiritual ambiance.